The Middle School years are the transition years. Our kids in grades 6 through 8 are all over the place when it comes to physical growth, emotional needs, maturity levels and academic progress. Rather than beating ourselves up because our child is behind in this or that subject or popping our buttons with pride because they are way beyond their peers when it comes to mature behavior, let’s sit back and evaluate. This is the perfect time to build on strengths and address weaknesses, but be selective. You still have time to help them catch up on subjects they have struggled with. There is still plenty of time before the high school years for them to make up ground. Encourage them to explore their interests and passions. You never know, these may lead to a lifetime career! What is it they love spending time doing? Look for ways to incorporate this into their learning journey. You may be able to use these sort of things to motivate a child to finish up lessons they are reluctant to work at if they know they have something they really want to spend time with coming later in the day. During these years you’ll want to move away from mom/teacher intensive instruction and toward student-led learning. Teaching them how to be a self-starter, how to seek information needed to finish lessons is key to a successful education. These in between years are a good time to work incrementally toward this goal. Have them read the lesson instructions themselves, explain to you what they are to be learning and doing. Start with one subject if this is a new idea and each semester expect a little more. Show them how to use personalized checklists, planners and calendars. Now is the time to let them spread their wings, just a little, try new things and make mistakes while still under your protection and supervision. 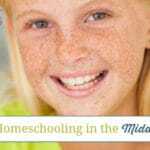 Our children in these middle school years will waffle back and forth between acting older than they are and reverting back to toddler-like tendencies (have you ever seen a 7th grader pout? mm-hmm.) Their bodies and brains are trying to find a balance and that pendulum will swing wide from one side to the other before settling somewhere in the middle. When they are feeling adventurous and want to take on a project they’ve never taken on before, let them! Then be ready to dish out the praise when they succeed and swoop in with a safety net and a broom to help them sweep up the pieces when they don’t. Children this age still need time for physical activity and play. Fresh air and free play stimulates the brain and improves behavior and attitudes. Don’t get bogged down in book studies to the point you’ve sacrificed fun and healthy activity. Look for ways to take schooling outside the classroom from time to time. Changing up the scenery and the schedule can add a little spice and ignite the fires that may be waning. Pushing academics too heavily can turn them off and close their hearts and minds to what’s coming in the next few years. Often, a passion for learning will come through unexpected avenues such as community service, church involvement and hobbies. Help them dream. Where would they like to be in ten years? What places would they like to see? What sort of people do they want to be around and what sort of person do they want to be themselves? All these things will help both of you form a plan for the later years as they venture into adulthood and out on their own. The Middle School years can be tough. Think back to your own childhood. What was life like for you as a 12, 13, 14-year old? Looking back to those days may help you relate to your own child and help him move forward with greater ease and success. 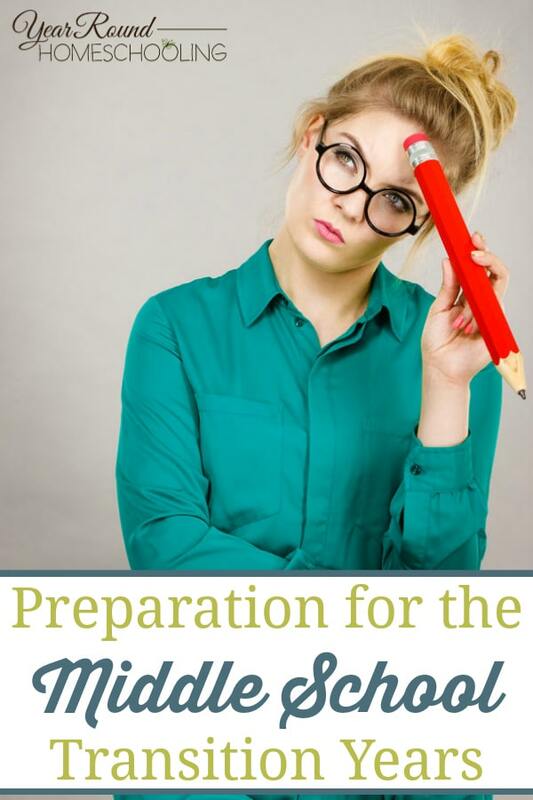 What steps have you taken to help your middle schooler transition? Thank you, Misty, for the opportunity to share with your readers today. 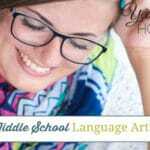 Your Middle School series has been very encouraging. I’m loving it! You’re so very welcome! 🙂 <3 Thank you for being a part! !